Global Consulting Group helps organizations, teams and individuals reach their performance potential. Thank you for reaching out to us. You will hear from us soon. 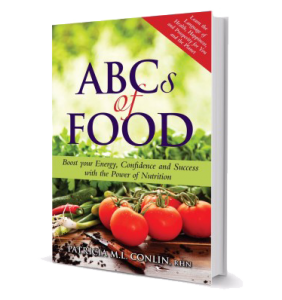 Read ABCs of Food by Patricia Tish Conlin, HBA RHN to learn the steps to build your health, energy and success. Thank you for your interest in having me speak about Wellness. We will be contacting you soon.